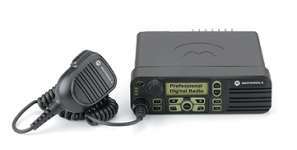 MOTOTRBO professional Digital Two Way Mobile Radios in a scalable solution to your demanding communication needs. Integrated GPS module enables the use of location tracking data applications Dual Mode Analog and / or Digital scan and mixed mode priority scan facilities a smooth migration from analog to Digital..
• MOTOTRBO users can decrease their spectrum congestion while doubling efficiency of their existing licensed repeater channels. utilizing the 2-slot TDMA technology supports two virtual channels, within a single 12.5 kHz repeater channel. • Manage your mobile work and quicky locate .